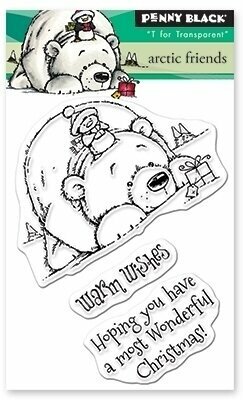 Create an interactive card with feet that kick up and down with this new addition to our Flutters line featuring a cute penguin riding a reindeer! 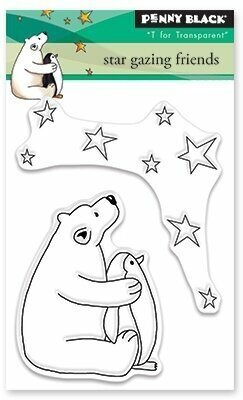 Includes stamps and dies for penguin and reindeer, and feet, and a set of 10 brads to get you started. "Dashing into the holiday season". Instructions included. 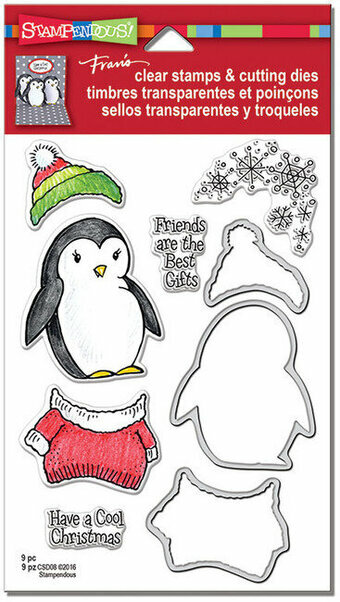 Christmas themed cling stamp from Impression Obsession featuring a Little Penguin. 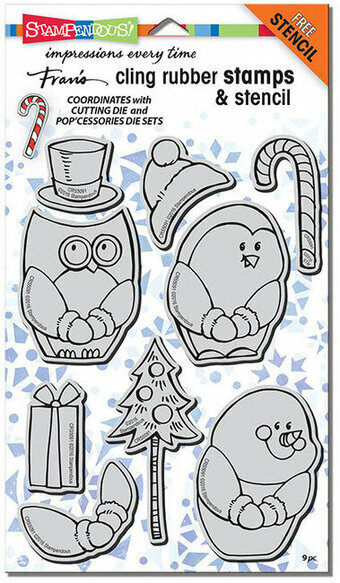 Clear stamps from Memory Box featuring penguins, "Merry Christmas", "Warm Wishes", and more. 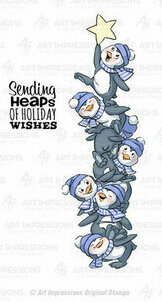 An adorable addition to the Stackers Line, a pile of penguins with hats and scarves reaching for a star. "Sending heaps of holiday wishes". Set of 2. Cling stamp from Carabelle Studio featuring an Origami Penguin.